For the past month we have been on standby waiting for a phone call. It has been a struggle knowing that any minute of the day a call could come and we would have to be ready to head to the village. The past month has been hard as we could make no plans as we knew our phone could ring any moment with the news that Dulcy has died. This past Sunday we took some teammates and their family for an island outing. We packed our lunch, drinks, and snacks for the afternoon. It was enjoyable. We went got home and started to put things away when Emily received a phone call from Ducly’s son, Fidelis. He said that mama has died. Our bags have been packed for the past month so early the next day we left the house at 4:45 AM to start the journey to the village for the burial. We picked up Sam who has been in town recording books of the Mborena Kam NT at little past 5:00 AM and we were on the road. We got to the village at 10:00 AM and arrived at Steven’s house where we heard crying and sobbing. There were nearly 200 family and friends gathered. After a huge meal was served the service started with the reading of Dulcy’s life story. Then the head church leader spoke for the community and he concluded with a short sermon/message. The coffin was then transported to the burial site which was a short 10 minute walk. 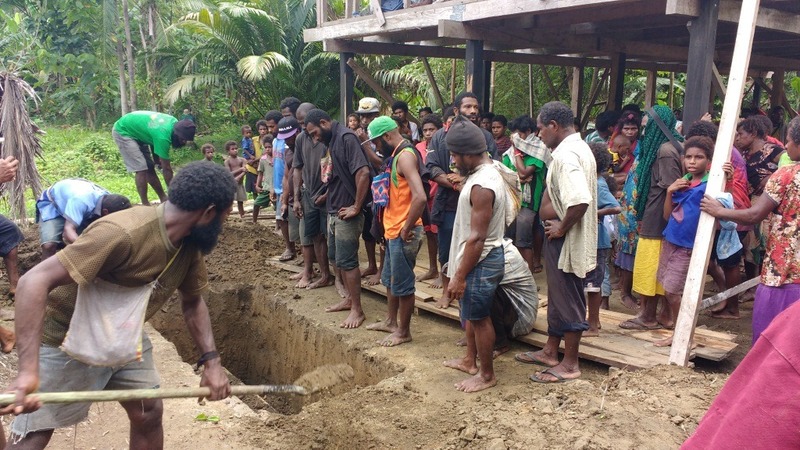 The men lowered the coffin in the ground then shovel by shovel they backfilled dirt ending the burial service. Dulcy died of mouth cancer which she had been battling for about one year. The past three months were the worst as her body was simply crumbling as the deadly cancer cells were taking her life. Dulcy like any good wife was the pillar for her husband, Steven. 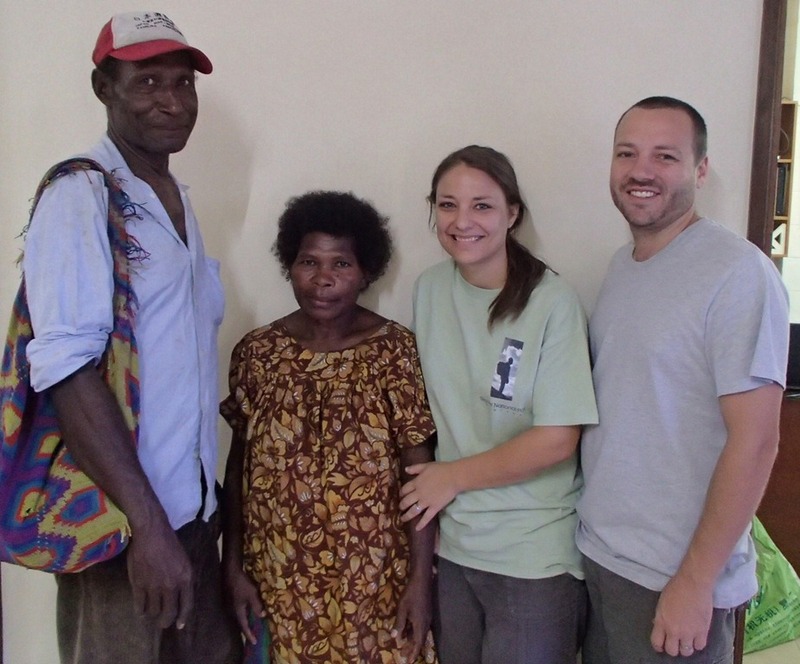 Steven is the co-translator for the Mborena Kam translation project that is in its final stages. They are hoping to dedicate the NT next summer. Unfortunately a piece of the family won’t be there to witness this ‘Good News’ in their heart language. Please pray for Steven as he mourns the lost of the wife. Also pray for the Piki family during this time as well. Pray the God’s transforming power will be illuminated amongst this language group. Last July before I left for home assignment I was able to get some scripture portions of the Apal NT on smartphones. I was able to get Matthew, Titus, and Jude on the phone app for some of the Apal speakers. This is not the finished app but a test/trial version. The expat translator wanted to gauge their enthusiasm and excitement of having their own mother tongue language on a smartphone. Recently, one of the men has been struggling with his marriage. Satan has gotten ahold of their marriage and caused problems. 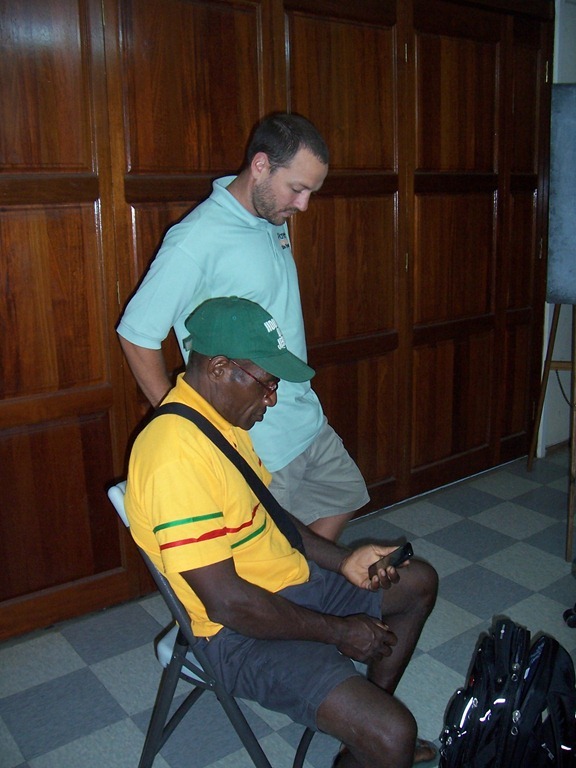 This has led him to stop reading the Tok Pisin Bible (national trade language of Papua New Guinea.) He is no longer reading the Bible and has no desire for the past six months. However, he still has his smartphone with the app that has Matthew, Titus, and Jude. When he is by himself fishing, walking, or simply has quiet time he often opens the app and listens or reads the Apal NT books that are on his phone. He recently told the translator this is what has kept him strong over the past six months of struggle and trial. Praise God! The translator wrote me to encourage me that the Scripture App is making a difference and the translator is excited to get more scripture on the app so the mother tongue speakers are engaged and transformed by God’s living Word. Please pray for the Apal language group that God will continue to transform hearts of the lost. Pray for the marriage of this man and his wife. Praise God for amazing new technology. While living a life overseas one thing you learn to appreciate even more is delayed gratification. Living in a developing country there are many things that just aren’t normal or desired. Such as ice cream that has thawed and been refrozen forming ice crystals throughout the ice cream another one might be room temperature water rather than having an abundance of ice cubes. There are many things you just learn to live with or live without. Being a sports fan I love to watch sporting events on live TV. Now that I am removed from living in the moment of the sports scene I have to follow games by the Game Tracker or simply reading recaps and box scores. Seldom do I get the chance to watch the 1 minute highlight video of the game. Just a few weeks ago the biggest football game of the year was played in California…Super Bowl 50. I am neither a Bronco or Panther fan but I do like to watch Peyton Manning and cheer him on. I am a Colts fan since being raised in Indiana. I remember the Harbaugh days (pre Manning) and Manning’s rookie year, a poor 3-13 record. This is Manning’s 4th Super Bowl after only winning it once with the Colts. I remember that night well, I in fact was working and missed that game as well. 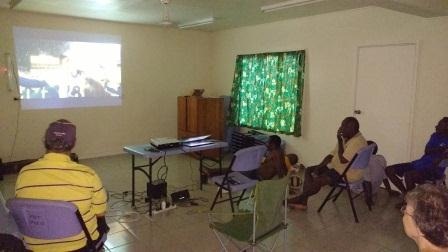 This year a fellow missionary was able to get the game while visiting Australia and bring the game back to us sports fans in PNG. This past Saturday we had our Super Bowl party! We decided to invite the PNG men whom are in town working on their translation projects to the party so they could watch some American football, after all doesn’t everyone watch the Super Bowl. Well…only 112 million viewers did this year. We enjoyed watching the defensive battles and of course watching Peyton Manning win his 2nd Super Bowl. 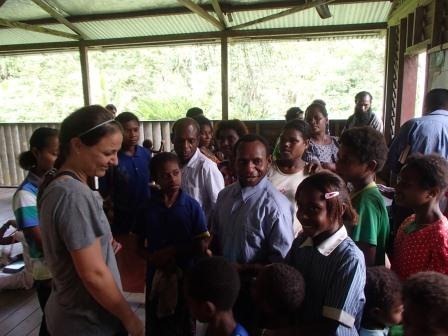 One of my favorite times of the church service here in Papua New Guinea is testimony time. This is the opportunity for the church to stand up and give praise, thanksgiving, recite a Bible verse, sing a song or simply testify. Some weeks there are four or five and other weeks there are none, but usually there is at least one testimony. One of my favorites comes from a regular attender and you knew the Holy Spirit had been working on this particular morning. When he got up to speak he honestly said, ‘the Spirit has awaken my soul this morning so I had to get up and say something about it.’ I love to hear what God is doing amongst His people. This morning at church a man from out of town was visiting Madang. As testimony time approached the song leader provided the lead in for anyone to come forward and testify. The visitor quickly rose with his pocket size New Testament in hand that was coverless. His message and encouragement to the church was obedience is better than sacrifice. He went on to explain that following Jesus is better than any offering or sacrifice that we may bring to him. Jesus calls his disciples to ‘follow me.’ As he called Matthew the tax collector, the four fisherman, etc…Jesus simply said ‘follow me.’ To follow after Christ we are called to obedience in Him. There are often times at church my mind wonders or I don’t understand what is being said or I am simply overwhelmed with the surroundings but this morning there was only one testimony from a visitor which spoke to my heart. A couple weeks ago we left town and headed to the village of Ono. It is about 1 hour 15 minutes drive on the Ramu Highway. The Ono Church of the Nazarene is situated along side the dusty, bumpy highway. We were drawn to this church because one of the PBT workmen, Frank, is from this area. (He actually lives about 2 hour walk from Ono on another mountain ridge.) 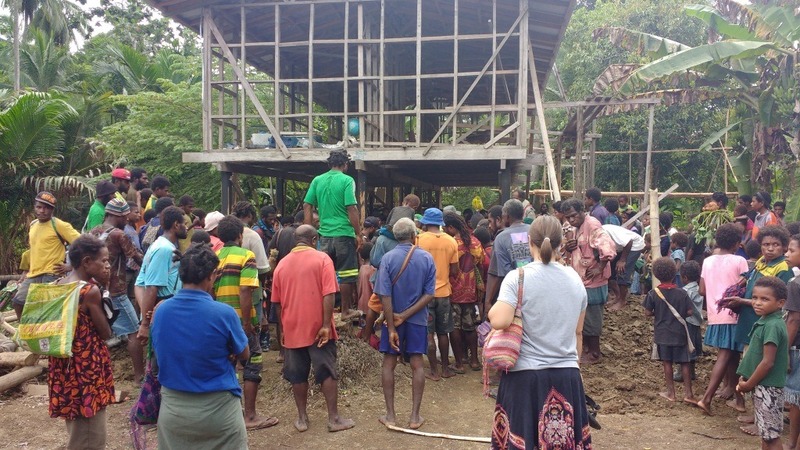 The Ono church resides inside on of PBT’s language groups, Somau Garia. We not only used this chance to visit and encourage Frank but we encouraged the people to use vernacular scripture and hand out a few books of Mark in their local language. It was a pleasant trip to meet the people, pastor, and worship with them in Spirit and in song. Pastor Titus is the church pastor. He is not from the area but from the Southern Highlands Province. He is a recent graduate from the Nazarene Bible College and has been at the Ono Church for five months. As I anticipated him asking me to preach I politely declined replying I wanted to hear his message. He did give Emily and I a chance to speak following the message. 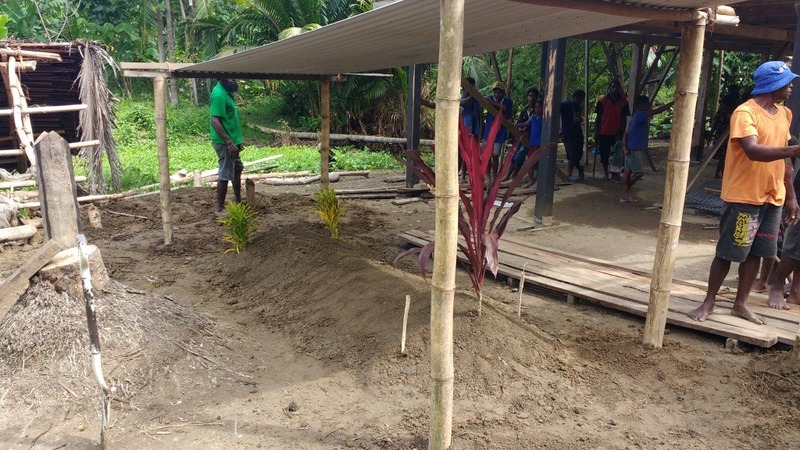 Pastor Titus like most Papua New Guineas gave an illustration relative to their culture to that of Biblical reference. He referenced the story of Joseph when the King of Egypt granted Joseph permission to take the King’s wagons and bring Joseph’s family to live with him in Egypt. (Gen 45). The imagery in Tok Pisin was a car or perhaps a bus. He stretched the story to tell about the Holiness Bus is coming. Not a Greyhound bus or school bus or some kind of taxi, but a bus destined for Kingdom of Heaven. This bus is one way, direct, and without any stops. The best part is there is no fee for the bus ticket. The ticket can be found within scripture and anyone can ride the bus. “Whoever hears my word and believes him who sent me has eternal life” John 5:24. 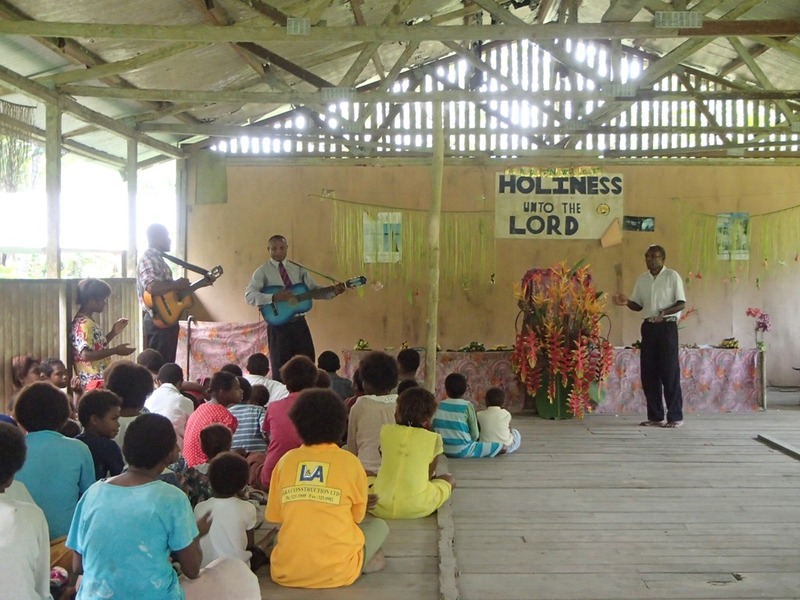 It was a joyful day to see a village church with over 90 people (men, women, and children) worshiping the Lord. Emily and I both shared the ministry of PBT and encouraged the use of their local language. They currently have the book of Mark and have drafted portions of the New Testament. 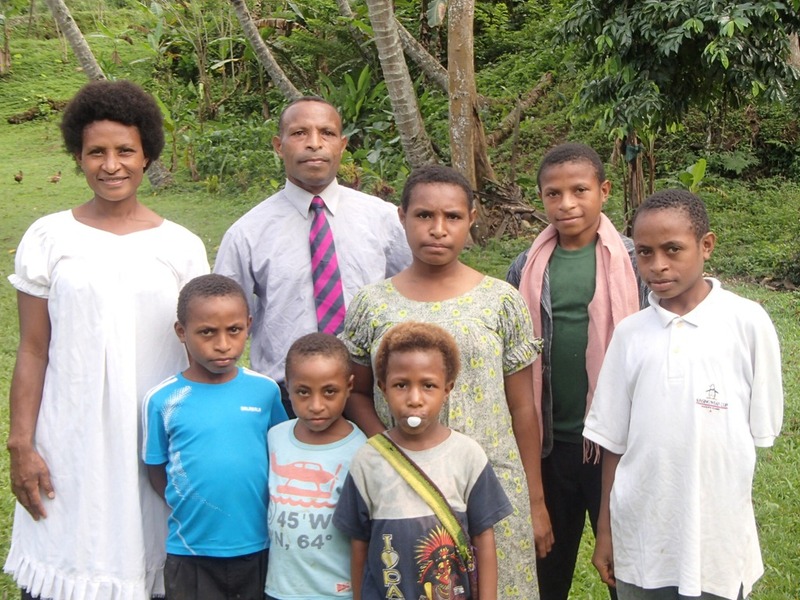 Please pray for the Somau Garia people that their lives will be transformed through God’s Word. The future is here! 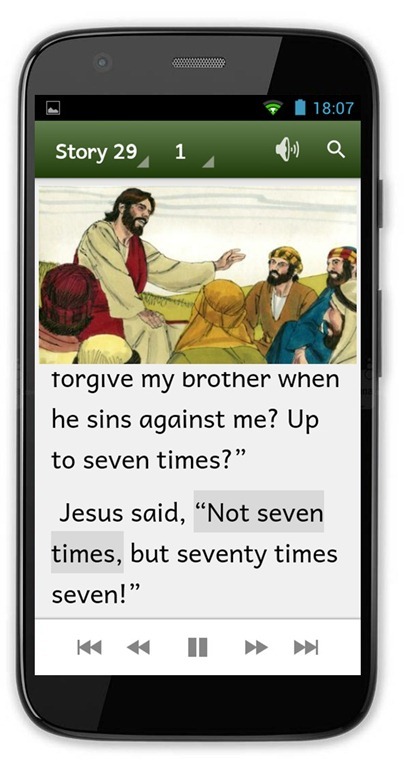 The ability to put translated scripture onto smartphones and like devices is now here thanks to a brand new SIL application called, Scripture App Builder. While attending a recent conference in Australia, I learned how to create and develop many types of scripture related apps. I would like to give a quick demonstration of what the app would look like on your smartphone or Android device. 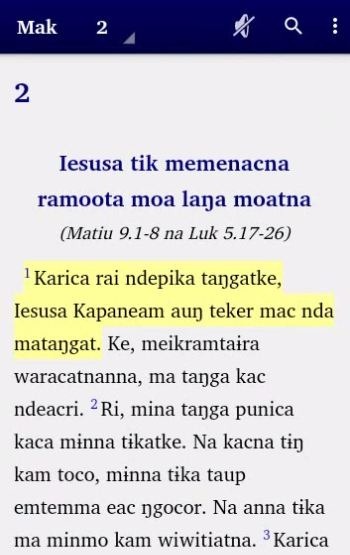 – You will see scripture text (Gospel of Mark) from the Mborena Kam language. The app opens to Mark 1 and it is demonstrated how you scroll up/down the page. – Next, select the chapter number which opens a chapter selection box. Chapter 2 is selected. – This screen is different because there is accompanying audio with the text. You will notice a speaker icon in the top icon bar. Once you unmute the speaker and press play you will notice each portion of the text is highlighted and synchronizes with the accompanying audio. After a few portions are read, the text is advanced by pressing fast-forward. The screen scrolls automatically along with the highlighted text. – Chapter 2 audio is paused then it is demonstrated how you can swipe to the next chapter as an alternative to selecting the chapter selection box as before. – Last you can also change text size and background color of your choice. This application is currently only for Android devices. The reason being that most smartphones in developing countries that nationals are purchasing are Android based devices. Scripture App Builder is not only a Bible or scripture app but it can be tailored to other uses as well. It can be used as a picture book for oral Bible stories, it can create a song book or hymnal, plus others. 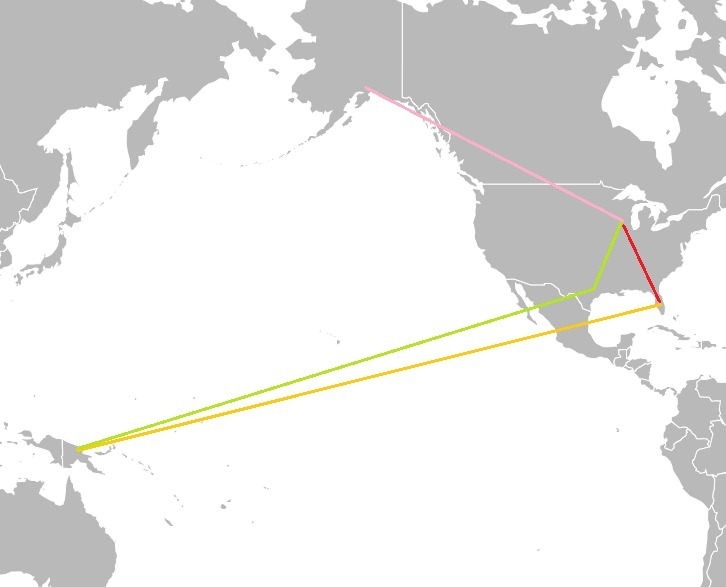 The neat thing is both the text and audio can be synchronized with a matching highlighted area to easily show the reader where to follow along. In a highly illiterate country this feature will play an integral part in fluency and literacy rates amongst language groups. The future is not only here but it is bright and alive.